FLDS members have begun submitting letters of intent saying they will live in and maintain homes owned by their former land trust, called the United Effort Plan, or UEP. The letters say the occupants also will pay the property taxes on their respective homes. “We aren’t even agreeing with them,” A member said of the UEP. “We’ve just worked out a situation or something where they will stop the evictions.” Most of the Hildale properties have since been sold — often to former FLDS members or their family. Their life in the hardscrabble region, where unpaved roads predominate, has always been half a century behind the rest of the US. Killer Films, which has joined forces with investors that include Abigail Disney and The New York Women’s Foundation; Lionsgate, Shamrock Capital and Vine Investments are believed to be bidding. The board of the beleaguered Weinstein Co. is meeting today to consider bids that have been submitted to acquire the company or some of its assets. Many financial experts familiar with the matter have said the studio would probably need to go through a Chapter 11 bankruptcy process in order to complete a sale. A class-action lawsuit on behalf of dozens of women accusing co-founder Harvey Weinstein of sexual assault, battery and lewd conduct has been filed in federal court in Los Angeles. The suit also names Miramax, the independent film studio Weinstein and his brother Bob founded and operated before selling it Disney in 1993. More suits are almost certainly in the works. Warner Bros. has acquired North American distribution rights to Paddington 2, the company announced November 15 from The Weinstein Company. Goldman Sachs has written down to zero the value of its stake in the Weinstein Company, the movie studio whose co-chairman Harvey Weinstein stepped down last month following sexual assault allegations, a person familiar with the matter said on November 13. Harvey Weinstein shows up in the Paradise Papers [leak of offshore corporations] in the now-defunct Bermuda-based medical venture capital firm Scientia Health Group Ltd. Weinstein took out 2,000 shares in the company in November 2001. 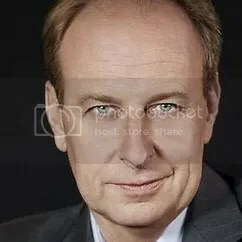 He gave as his contact point the name of Richard Koenigsberg, one of the directors of the Weinstein Company. The Fortress Investment Group is in ongoing talks to grant a bridge loan of $35 million that will enable The Weinstein Company to meet payroll and its commitments on television projects through January. That may enable the company to complete an asset sale or restructure. Colony Capital was offering to buy TWC assets at a price well below that which the remaining board members think they are worth. Lionsgate, MGM, and Killer Films — potential bidders— would prefer that the company undergo bankruptcy, because that would indemnify them from legal obligations related to Harvey Weinstein’s alleged harassment and assaults. The Weinstein Co film company on October 26 was sued by its founder and former co-chairman Harvey Weinstein who is seeking to investigate whether the board is pursuing a “fire sale” of the company, the Delaware Court of Chancery has jurisdiction over suits involving the Delaware-incorporated company. The company secured a $400 million senior credit facility last year from Union Bank and Opus Bank, which are likely growing concerned about their investment. So is Goldman Sachs Group (NYSE: GS), which is reportedly looking to sell its $1 million stake. billionaire Len Blavatnik [Sir Leonard “Len” Blavatnik is a Soviet-born British-American ] and investor Ron Burkle on a purchase plan. The company’s remaining assets are now in perilous condition. TWC’s financial situation, and particularly its debt load, are more dire than was previously known. Harvey Weinstein resigned from the board of The Weinstein Company, the board announced on October 17. Toyota Motor Corp’s Lexus unit, a sponsor of reality TV show “Project Runway,” said it is evaluating its partnership with TWC. Thomas J. Barrack, Jr., founder and executive chairman of Colony Capital,, “We are pleased to invest in The Weinstein Company and to help it move forward.” The head of Amazon Studios, Roy Price, has resigned from the streaming company he started following claims he had dismissed the allegations that Harvey Weinstein had raped the actor Rose McGowan. DEADLINE: …There is a feeling around town right now that Harvey feels he was rolled under the bus by his brother in those press reports, and he’s eager to return the favor. Is that what we’re talking about here? The scenario sounds almost like a brother trying to burn his brother’s baseball card collection and realizing he might have burned down the whole house. The feeling is a feud between the brothers was exacerbated by the passing of their mother [November 16 2016], and this is going to be a scorched earth feud that continues. Maybe your experience today is shrapnel from that? GLASSER: Look, I can’t say exactly what happened or didn’t. Glasser was never charged with a crime. Glasser investor Roy Ageloff, pleaded guilty to securities fraud and was sentenced to eight years in prison. His partner, Robert Catoggio, it was charged, funneled millions of dollars in proceeds to a captain in the Genovese crime family. Goldman Sachs took a 5 percent stake in TWC during the private-equity placement that got the brothers going again after they left Disney, which in 1993 bought their original studio, Miramax. December 13, 2017, at 2:00 a.m. FBME formerly known as the Federal Bank of the Middle East, has been investigated for years by the US Financial Crimes Enforcement Network (known as FinCEN). Buzzfeed now has documents showing “how FBME executives scrambled to lie, threaten, use forgery, and shred their way to success while Quinn Emanuel and Hogan Lovells did battle on the bank’s behalf and accountants at KPMG and Ernst & Young overlooked glaring red flags as they gave a corrupt institution their gold-plated seal of approval.” In the coming days, we will expose a secret network of Moscow-based slush funds linked to the Russian government, Syrian chemical weapons, and ISIS – and reveal how an international banking giant allowed suspicious money to flood the Western financial system by facilitating FBME’s dollar transactions for decades. Vijay Mallya fled to Britain in March 2016 after being pursued for recovery of Rs 9,091 crore [1388757210.45 usd] owed to a consortium of 17 Indian banks by his now defunct Kingfisher Airlines. Former liquor baron is accused of transferring a huge chunk of Rs 6,027-crore [920695160.86 usd] loan he took for his now-defunct Kingfisher Airlines to shell companies in seven countries the United Arab Emirates (UAE), the US, France, Singapore, Ireland and Mauritius and South Africa. Mallya left India in 2016, saying he was moving to England to be closer to his children. He has since refused to return to India and said he fears an unfair trial amid the “media frenzy and hysteria” over unpaid dues. Mallya has also said government agencies are pursuing a “heavily biased investigation” and holding him guilty without trial.Officials, have found 30 antique objects, including idols dating to the 10th century and paintings. Of these, a majority were from south India and had been sold by Kapoor’s gallery ‘Art of the Past’ between 2007 and 2012 to Singapore. 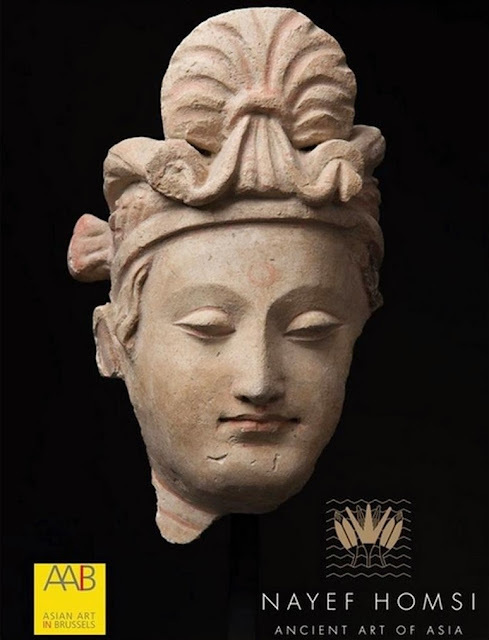 5,000; a “Khmer Vishnu sandstone wall fragment” worth $65,000; and a crowned Buddha worth $45,000; as well as many other Cambodian statues worth tens of thousands of dollars. “He certainly conned a lot of people,” Mr. Kennedy said of Subhash Kapoor, a dealer identified by authorities as having once run the largest antiquities smuggling operation on American soil., who is awaiting trial in India on charges of trafficking in $100 million worth of stolen artifacts. Mr. Kapoor, 65, has pleaded not guilty. Brenton M. Easter, the special agent in charge of Operation Hidden Idol for Immigration and Customs Enforcement, said museums should understand that the investigation was continuing. “Just because they haven’t been contacted yet doesn’t mean they should not anticipate being contacted down the road,” he said. 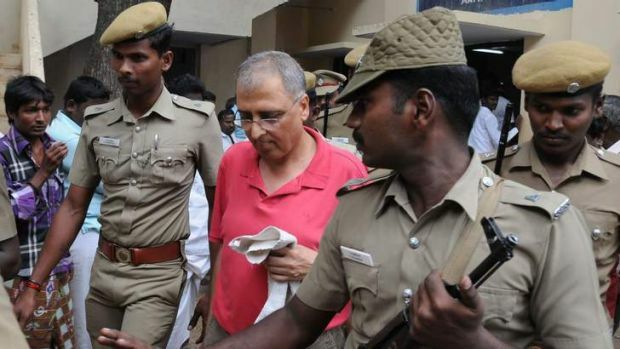 The federal investigation, Operation Hidden Idol, began in 2012 with raids on Mr. Kapoor’s gallery and on several warehouses and other locations where he stored Indian antiquities. Officials with Immigration and Customs Enforcement and Homeland Security Investigations, which are jointly directing the investigation, said they had seized tens of millions of dollars worth of objects that they believed were looted from ancient temples in India. In addition, the Manhattan district attorney’s office, working with the investigators, has prosecuted Mr. Kapoor’s sister; a woman identified as his girlfriend; and the longtime manager of his gallery on charges related to the artifacts. The manager, Aaron Freedman, pleaded guilty in December 2013 to six criminal charges and is said to be cooperating with the authorities. Homsi, who lives in Greenpoint, has an Upper East Side gallery that was featured in the New York Times last month in a roundup of Asia Week exhibits. Nayef Homsi is suspected of selling three sculptures of Hindu and Buddhist deities — despite knowing the artifacts were stolen. Nayef Homsi is said to be a “minor player” in a much larger investigation. New York County District Attorney’s office intends to arrest Homsi. The DA’s office, which partnered with the Department of Homeland Security on the investigation, filed the papers in Manhattan Civil Supreme Court on March 25, asking a judge to freeze a bank account held in the name of Homsi’s company, Maitreya, where the proceeds of the illegal sales had been deposited. An Amedeo Modigliani seized by the Nazis, worth as much as $25 million is being held in a warehouse in Switzerland by a corporation controlled, allegedly, by the Nahmad family. Helly Nahmad, who is serving a year in prison, was sentenced in April after pleading guilty to operating a sports-gambling business that booked millions of dollars in bets. The International Art Center is registered in Panama and has an office in Switzerland, where it holds artworks at the Geneva Freeport. The painting in question, Modigliani’s 1918 portrait, “Seated Man With a Cane,” is in that warehouse. 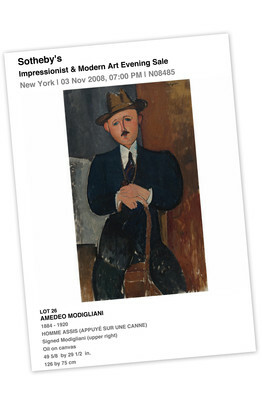 A man named Van der Klip, bought the Modigliani in a forced sale in 1947. The painting had then been resold twice in quick succession, ending up in the possession of a U.S. officer, whose name and address were unknown. That painting , in a 1996 Christie’s auction in London, was purchased for $3.2 million by the International Art Center. Mr. Maestracci, the sole heir to the painting, and his attorneys have described the International Art Center as a shell company used by the Nahmad family to hold a multi-billion-dollar art collection, is asking for depositions. The Helly Nahmad Gallery, in a court filing, said it “lacks any interest whatsoever in this controversy and lacks any authority or capacity to remedy any injury allegedly suffered” by Mr. Maestracci. Hillel “Helly” Nahmad, who had apartments at Manhattan’s Trump Tower, a model for a girlfriend and an art gallery that featured modern masters such as Pablo Picasso, was sentenced to a year and a day in prison for his role in a high-stakes gambling ring. The gallery will remain open while his client serves his term. As part of his plea, he agreed to forfeit $6.4 million and all rights to the Dufy painting titled “Carnaval a Nice, 1937.” The judge yesterday ordered him to also pay a $30,000 fine and said he had to surrender to U.S. prison officials on or by June 16. Furman granted Brafman’s request that he would recommend Nahmad serve his time at the Federal Correctional Institution at Otisville, New York. It’s only a 90-minute drive for visitors from the city, and it has boccie courts, horseshoe pits and enough room to play soccer. Convicts could stay up until 2 a.m. on Friday and Saturday nights watching HBO, Showtime and Cinemax. Vadim Trincher was sentenced yesterday to five years in prison by Furman. The other ring was run by Trincher’s son, Illya Trincher of Beverly Hills, California, and was a high-stakes gambling operation for millionaires and billionaires, according to the government. He pleaded guilty to gambling charges in November and is scheduled to be sentenced in May. Playing poker isn’t a crime, but it’s illegal to profit by promoting it. Edwin Ting was sentenced January 21 in Manhattan federal court to five months in prison and ordered to forfeit $2 million. 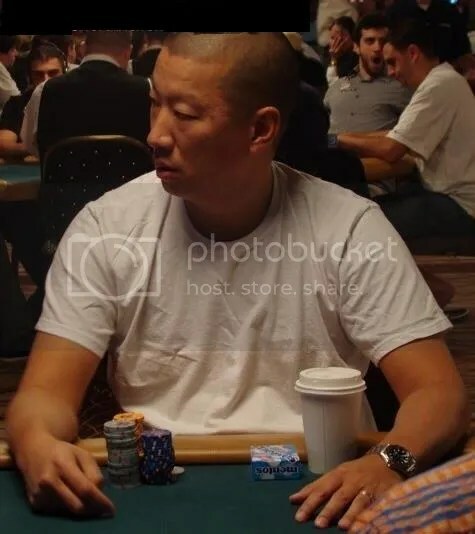 U.S. Attorney Preet Bharara says that from 2010 through 2013, Ting ran poker games with pots that reached hundreds of thousands of dollars. Authorities say players in the underground network included professional athletes, Hollywood luminaries and business executives. Another case under the ‘U.S. v. Alimzhan Tokhtakhounov’ can be shelved. In the sentencing hearing on January 20 for Smith, well known as “BoostedJ” in the poker community, presiding judge Jesse M. Furman sentenced Smith to two years probation, but with the special condition of an initial three-month period of home confinement, typically but not necessarily monitored by electronic ankle bracelet. Smith was also ordered to perform 200 hours of community service following the completion of his home confinement term. Smith had previously agreed to pay a fine of $500,000 as part of his sentencing. It is believed Smith will serve his home confinement in his LA-area residence. Smith, a prominent cash-game pro who has also notched over $2.1 million in career tournament earnings, is one of 24 defendants in the case who have reached deals to date. Another of the early-pleading defendants, Edwin Ting, was also scheduled for a sentencing hearing this week. Ting’s hearing, however, was pushed back to January 21st due to a scheduling conflict with the SDNY prosecutor dealing specifically with Ting’s case and charges. William Barbalat, 42, admitted to hosting illegal underground poker games in his apartment, as well as helping facilitate wire transfers to players in different states. Barbalat is one of nearly three dozen individuals charged in the matter. The move will spare Barbalat from a potential sentence of 10 years in prison. His deal reportedly will likely result in him spending six months to a year behind bars. The indictment defines two related gambling rings. Meanwhile, the related “Nahmad-Trincher” organization, directed primarily by Hillel “Helly” Nahmad, Noah “The Oracle” Siegel and Illya Trincher, reportedly ran a similar high-stakes gambling operation in New York and Los Angeles. The operation took in tens of millions in bets on illegal websites, then laundered profits through a multitude of US bank accounts, a plumbing company in the Bronx, a real estate company and car repair shop in New York City, and a firm that sells used cars over the Internet. Interpol has a red notice out on Tokhtakhounov, who was previously indicted for bribing ice skating judges at the 2002 Winter Olympics. Tokhtakhounov lives in Russia and has been on the Forbes list of the world’s 10 Most Wanted fugitives since it was first compiled in 2008. The main players include a notorious Russian thief-in-law (the equivalent of an Italian mafia don), a billionaire art mogul, a J.P. Morgan banker, a Hollywood poker hostess and the Russian-born ringleader — poker pro Vadim Trincher, who lived in Trump Tower in a $5 million apartment directly beneath that of “The Donald” himself. “From his apartment he oversaw what must have been the world’s largest sports book,” Assistant US Attorney Harris Fischman said during a hearing at which a judge ordered Trincher, facing nearly a century behind bars if convicted, held for trial without bail. The whopping 84-page federal indictment spells out how the conspirators all fit into two related rings that operated since at least 2006 out of Kyiv, Los Angeles, Moscow and New York. 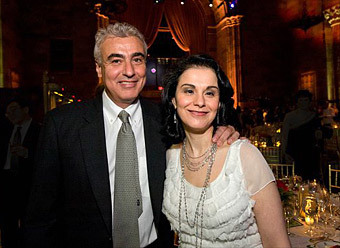 Marc Lasry,employed the Clintons’ daughter, Chelsea, between 2006 and 2009, Three years after getting her M.A., she joined Avenue, which was started in 1995 by Lasry [JD New York Lw School] and his sister, Ms.Sonia Gardner [JD from Cardozo, Yeshiva U. 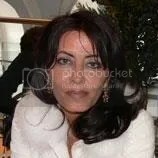 ], Previous Name: Sonia Esther Lasry, and has about $12.5 billion in assets and specializes in distressed debt. Chelsea Clinton says she left her career on Wall Street three years ago to find more purpose. “Intellectually, I loved my job, but I didn’t get any meaning from it,” says Clinton, 33, who worked from 2006 to 2009 as an associate at Avenue Capital Group LLC, a New York- based hedge fund firm. “I didn’t fundamentally become re- motivated every day in the way that I do now.” Lasry has five children, one of whom now works in the White House. He lives at 4 East 74th Street. New York’s chief federal prosecutor charged 34 people in an alleged $100 million Russian-run poker money laundering operation. Among those charged were Illya Trincher, the son of a professional poker player, who is accused of running the ring for multi-millionaire gamblers with Helly Nahmad, an elite Manhattan art dealer based in the Carlyle hotel. Others arrested included Molly Bloom, the so-called “poker princess” who has organised games for celebrities such as Leonardo DiCaprio and Tobey Maguire. Mr Lasry has played poker with some of the accused, including Mr Trincher, but it was a “complete surprise to him that they are accused of violating the law”, said a source close to the financier. He said: “I am very grateful to have been considered, but I would like to put the speculation to rest and let you know that I will be remaining at Avenue.” The source familiar with his decision said that he was remaining at Avenue as it had become clear that he would divest his financial holdings in Avenue and its funds. “It has nothing to do with this poker investigation,” he said. The Moroccan-born financier, 53, is known in Wall Street circles as a “master of the universe” type – the phrase coined by novelist Tom Wolfe to describe powerful New York finance industry high-flyers. Chelsea Clinton and her husband, Marc Mezvinsky, are in contract for a four-bedroom condominium near Manhattan’s Madison Square Park that was listed at $10.5 million, a person with knowledge of the building said. The couple agreed to purchase a 5,000-square-foot (465- square-meter) apartment on the fourth floor of the Whitman on East 26th Street. Ingrid Thorburn (Aubrey Plaza) a mentally disturbed young woman, becomes obsessed with Taylor Sloane (Elizabeth Olsen)..
“Red Lights,” Premieres, 6:30 pm Jan. 24. [December 7 2011]Sundance Institute announced today the films selected to screen in the out-of-competition Premieres and Documentary Premieres sections of the 2012 Sundance Film Festival. The Coltharp girls — along with their two brothers, their father, John Coltharp, and grandparents Keith and Cathy Coltharp, all from Spring City, Sanpete County — disappeared in September. Spring City Police Chief Clarke Christensen said Iron County sheriff’s deputies found most of the missing people in a compound used by the group John Coltharp associates with. The boys, William, 7, and Seth, 6, were found in good condition, he said. John Coltharp was an associate of Shaffer’s, according to family members. The Coltharps moved from Highlands Ranch, Colorado, to Utah and then helped form a religious/survivalist cult, a fundamentalist Mormon offshoot. Both sets of girls were within about five miles of what police described as a compound two miles west of Lund — a home made of shipping containers that Shaffer shared with two other adults unrelated to the children. A mountain man who roams the wilder- ness of south- ern Utah, breaking into remote cabins in wint- er is res- ponsible for more than two doz- en burg- laries has continued to outrun the law across a swath of moun- tains not far from Zion Na- tional Park. The coffee and alcohol the survi- valist favors plays into some cabin owners’ assessment that he could be a castaway from the nearby twin towns of Hildale or Colorado City on the Utah-Arizona border. The so-called lost boys are said to be regularly booted from the polygamous sect there by elders looking to increase their marriage opportunities with young women. “Wonder Wheel,” a drama set in Coney Island during the 1950s, will debut in limited release on Dec. 1, 2017, providing an alternative to “Star Wars: The Last Jedi,” which hits theaters on Dec. 15.. Allen will certainly be good counter-programming in indie movie theaters. “Wonder Wheel’s” cast includes Jim Belushi, Juno Temple, Justin Timberlake, and stars Kate Winslet. Juno Temple joins Kate Winslet, Jim Belush Justin Timberlake In Woody Allen 2017 Film. It will film in New York, in the fall/autumn, and it will be some sort of drama. 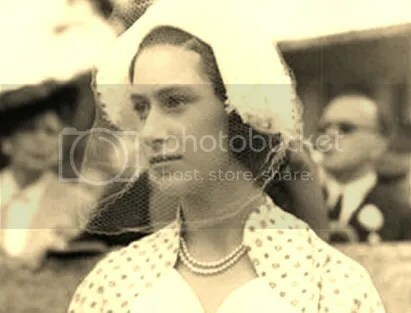 “Margot” HRH Princess Margaret Rose, Companion of the Imperial Order of the Crown of India, Dame Grand Cross of the Royal Victorian Order, Dame Grand Cross of the Most Venerable Order of St. John of Jerusalem. On V.E. Day in 1945, Princess Margaret and her sister Elizabeth were allowed out from Buckingham Palace for the night, where they encounter romance and danger. Juno Temple is to play the late Princess Margaret in the film Girls’ Night Out.